HWD is a Website Design & Development Company with expert developers living and working in Plymouth. Our close-knit team of creative specialists deliver outstanding websites, design, digital strategy, marketing, branding, user experience, web design and development.  Henderson Web Design is a creative Web design agency based in Plymouth, Devon. Our collective skills cover everything from bespoke development, eCommerce, Shopify, Magento, graphic design and copywriting, but at the heart of each project lies clear and effective communication. We design with people in mind. We plan, create, develop and deliver impressive work for a diverse range of clients. This didn't happen overnight either - together, we have been amassing our collective experience for over 15 years. Our considerable skillset and ‘can do’ attitude means that we are adept at more than just aesthetically pleasing projects: concept, content and design are all equally crucial. Henderson Web Design offers a complete range of website solutions to fit any budget. Alternatively you can call us on 01752 263 051 - we would love to hear from you and discuss your requirements. Our services are as broad and varied as our experience. Whilst our core skills are still based around unique and bespoke web development solutions. We are also highly skilled in Branding and logo design, digital marketing and SEO amongst other things. We take particular care to ensure that ALL websites that we create are fully responsive and are compliant to all the published best practices for web development. Our skill set does not end there! Below is a list of the main services we offer. That said if it involves digital design or development we can help...give us a call! GRAPHIC DESIGN, BRANDING & LOGOS - Making you stand out from the crowd! CUSTOM PROJECTS - If you can dream it, we can build it!